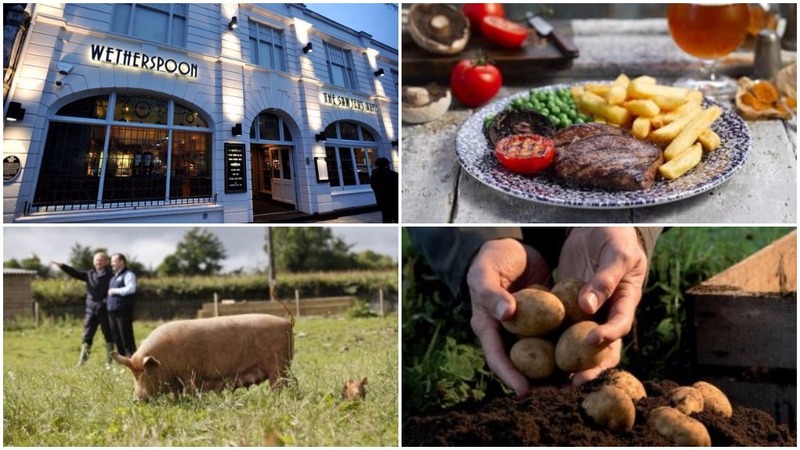 Farmers have won the support of pub giant JD Wetherspoon which is set to roll out a new, locally-sourced, menu across its 50 pubs in Wales. The menu, which will be launched on September 6 and printed in English and Welsh, will showcase a range of food and drink from suppliers across Wales, as well as meat from assured Welsh farms. Pub-goers will be able to tuck into new meals such as Welsh dragon sausages and mash, Welsh beef and ale pie and Welsh Celtic Pride beef cottage pie. Drinks on offer include Gwynt y Ddraig Old Crow Cider, from Pontypridd, Penderyn whisky and Brecon gin, produced in the Brecon Beacons, Brains Gin Lane, produced in Cardiff and Boss Beatlejuice, made in Swansea. The First Minister of Wales, Carwyn Jones, will this week visit The Wyndham Arms, a Wetherspoon pub in Bridgend, to meet suppliers and sample the new wares. He said: “I am extremely proud of Wales’ high-quality food and drink, which is enjoying a growing reputation for excellence around the world. “It is great news Wetherspoon’s will be showcasing food and drink from suppliers right across Wales. Wetherspoon’s regional manager for West Wales said: “We are proud to serve a standalone menu in our pubs offering the best of Welsh food and drink, alongside our regular menu.